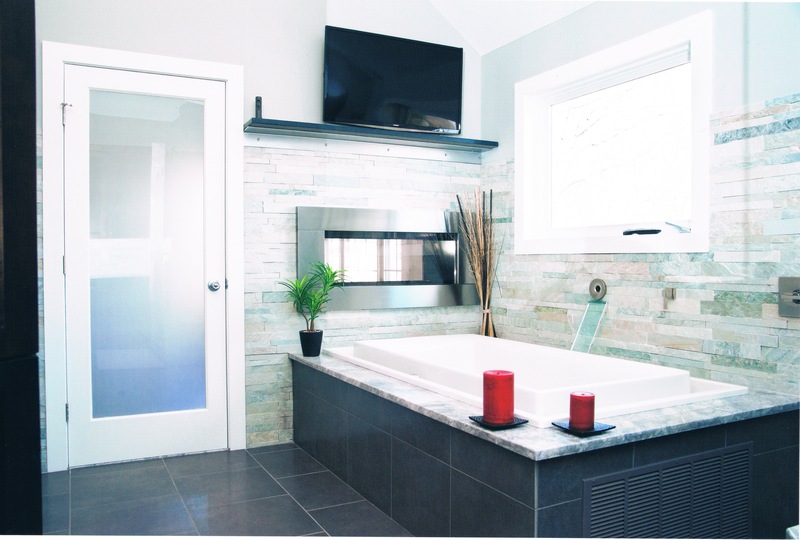 To create this master bathroom spa, a small hallway and two closets were removed, which increased the space for installation of the large effervescent overflow tub and separate shower complete with body sprays, rain head and bench seat. The private water closet is located closest to the master bedroom for easy access. The homeowner’s passion for high-end products led to the choice of materials, including the wall stone tile, quartzite bench and river rock flooring undefined boosting the cost of this remodel to $98,882. The specialty materials required installation by skilled, specialized craftspeople with attention to detail. Expanding the size of the room and the design of the appliances also demanded increasing the water supply line and incorporating a tankless water heater, plus extra features for warmth, including a two-sided fireplace, a towel warmer and heated floor system. Additional electric switches for increased lighting and heat sources were installed after roleplaying with the homeowners, assessing their use of the room. The new master bathroom provides a relaxing, pampered atmosphere, plus an efficient space for daily preparations. Requiring increased cooking space and a better workflow, this builder-grade Hillsborough kitchen was remodeled for $73,996.94. Because many of the existing appliances were in excellent condition, the refrigerator, double wall oven, dishwasher, microwave and kitchen faucet were re-used in the project. 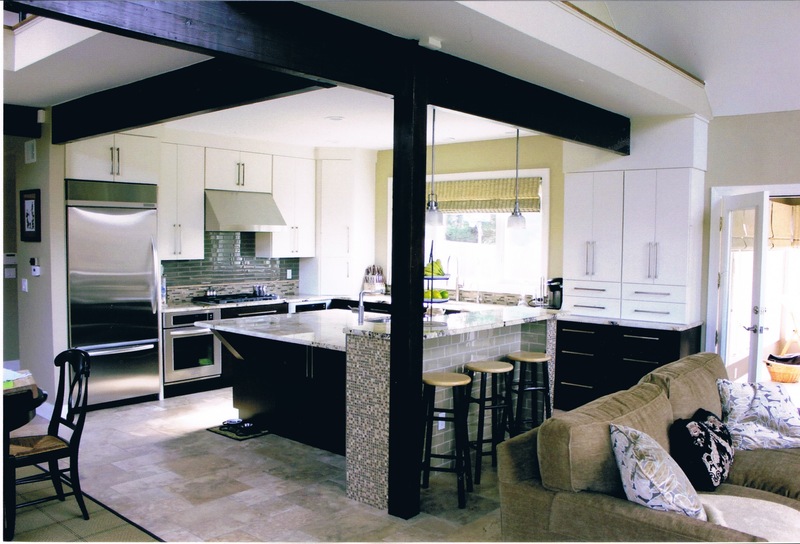 To accomplish the homeowners’ requirements, the island was made larger to include seating, soffits were removed and lighting improved to provide better working conditions. While appliances were re-used, they were relocated because the refrigerator door blocked the walkway to the island and the countertop microwave used up valuable space. 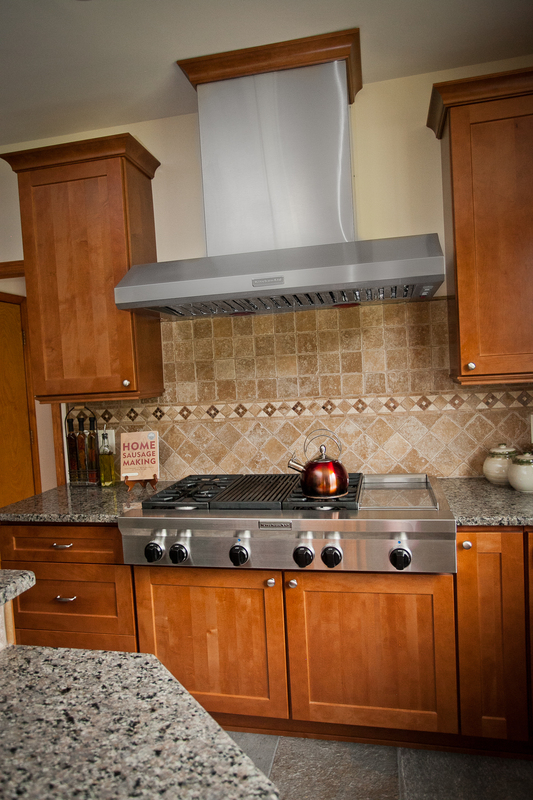 The oddly shaped island was reconfigured to create more functional work space and a new, larger cooktop was relocated to provide better ventilation and safer cooking conditions. To accomplish this, ductwork was redirected and additional ventilation installed. The 107-inch length of the island was enhanced with GFI/tamper resistant plug molds so cords are not hanging over the ends of the countertop undefined a much safer alternative to placing the receptacles at the island ends. New cabinets provide better and more attractive storage solutions. This 1990’s southwestern themed house was transformed into a modern, fresh design for $355,481. Included in this renovation were: first floor hallway, family room, living area, dining room, kitchen, first floor main bath, first floor powder room, second floor main bath and second floor master bedroom. 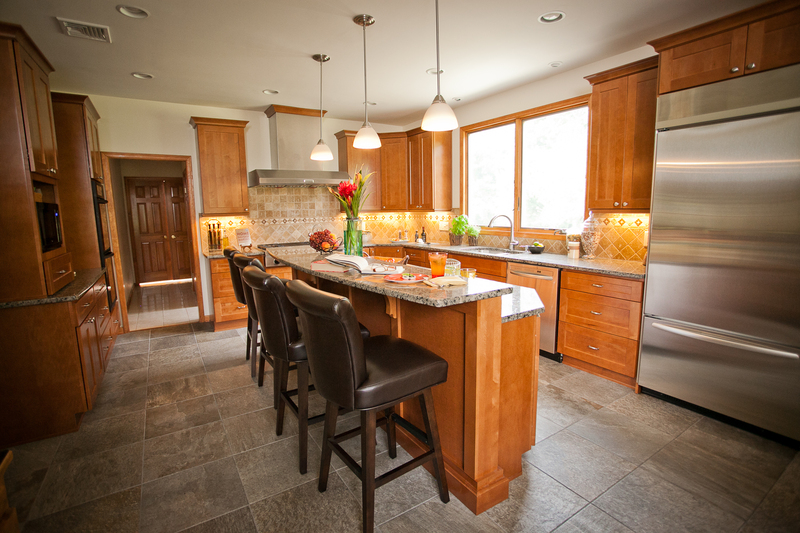 Renovation of the existing Kitchen was one of the main reasons for this project. The original kitchen work area had limited counter space and was hindered by a space-consuming walk-in closet. Removing the closet and reducing the window size helped expand wall and base cabinet space. New two-toned Showcase wood cabinets and an oversized island with granite countertops finished off the kitchen remodel. Reframing the existing firebox and removing built-ins expanded floor space in the living room and dining room. 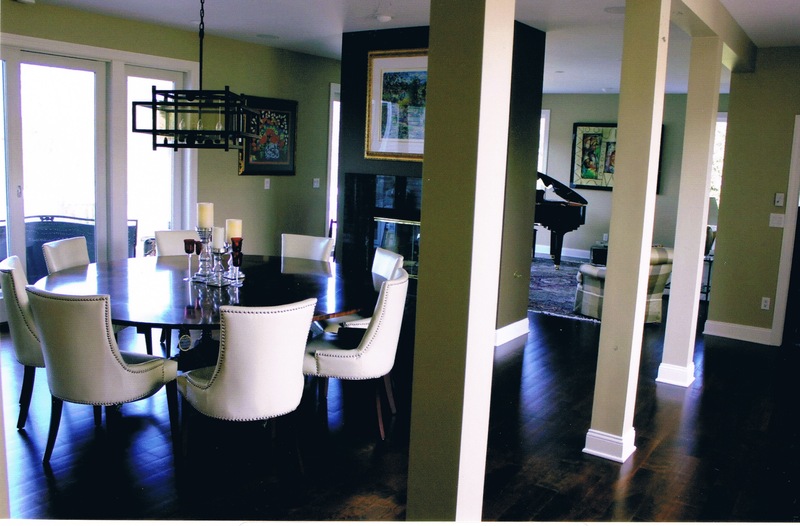 Wide plank dark cherry-stained flooring warmed up these areas. The bland First Floor Bathroom was renewed by replacing the outdated shower stall, eliminating the closet, and enhancing the vanity area with storage towers. 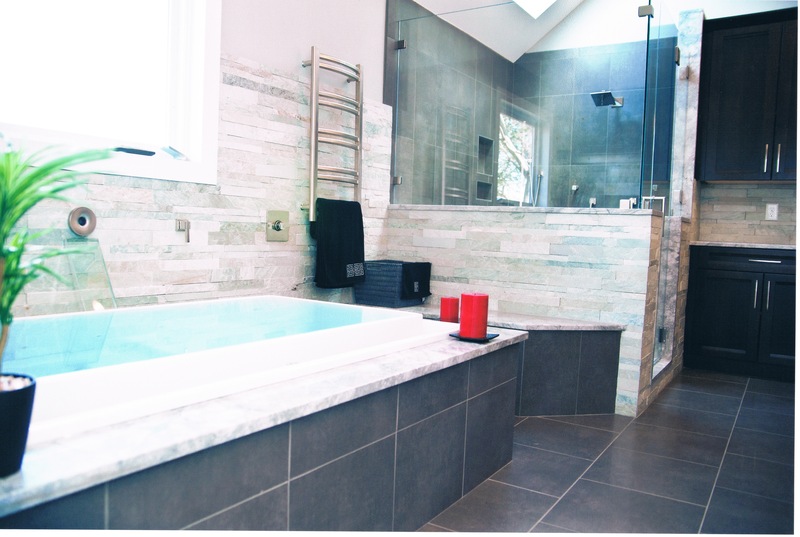 The second floor Main Bath was functionally enhanced by removing the oversized tub deck and replacing it with an egg-shaped tub, which is the centerpiece of the sleek, modern bathroom. Relocating the shower and renewing its tile work, and installing a new double sink vanity increased the functionality of this room. The homeowners desired access to their very sloping backyard, other than the second story deck from which they viewed the area. 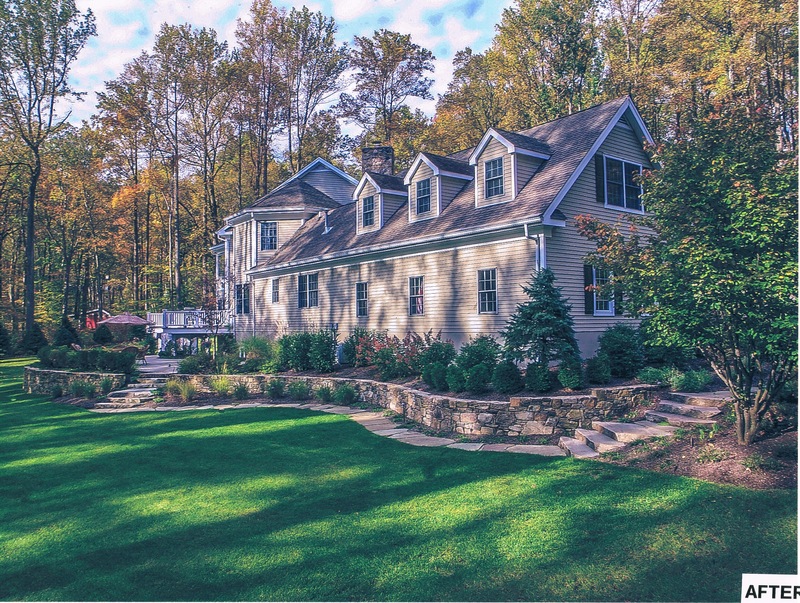 The disconnection between the height of the existing wood deck and the low level of the lawn required re- grading and re-contouring of the backyard to provide a flat lawn area for play and to drain water from and around the new project. A new raised bluestone patio along with half as many wood steps from the existing deck to the new patio provides access to the fieldstone outdoor fireplace with fieldstone sitting walls. Using the yard’s grade, a new fire pit with stone patio and woodland garden were created with access by organic stone slab steps. What was once a sloping lawn is now a stunning collection of sitting areas and gardens transitioning to outdoor cooking spaces. 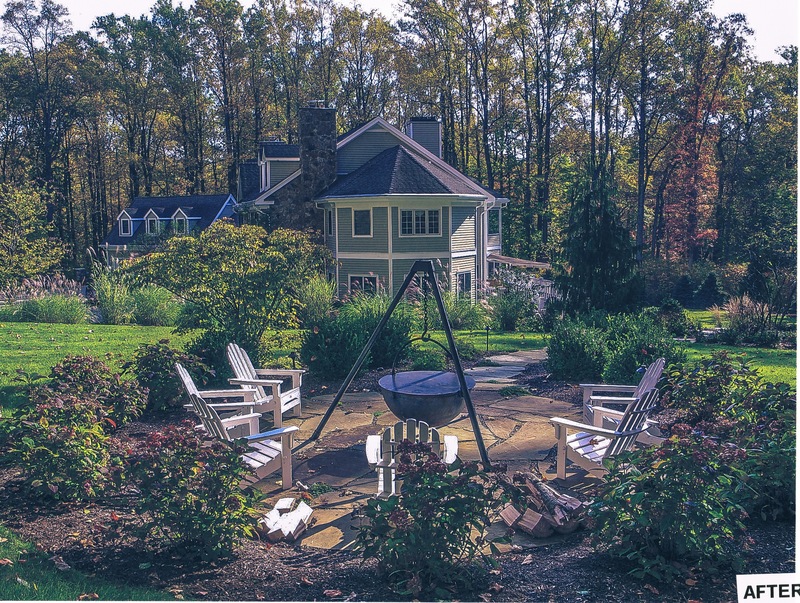 The contract price to create this accessible, beautiful backyard was $350,000.